five indicators of price movements that can be analyzed to make a profit. 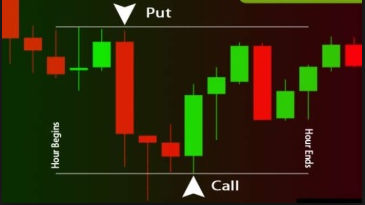 Analysis to guide when a trader enters, when pressing the Put button and when deciding on a Call. In fact, when to take instrument options such as One Touch, Double Touch, or Boundary. Most traders see trends as the first indicator to start trading. Yes, trends are always seen as ideal situations for entry or open orders. The binary options trading mechanism does not really care about price fluctuations. However, price trends remain an ideal indicator. In a trend situation, price movements are relatively easier to analyze. The maximum profit opportunity is very wide open. The next indicator is stability price. Trends are often followed by other indicators, when prices remain stable or when prices experience a situation of breakouts. When the price of an asset is in a consistent position, it might be better to take the Boundary or No Touch option. Not unlike the price trend, the indicator of stability price also won't last forever. Although, some assets do tend to be stable or consistent in price performance. To be sure, look at this situation to generate profits. Trends and stability prices often last long. However, a substantial change in market sentiment allows for a breakout indicator of prices. Situation where prices exceed record highs or lows. Breakout situations do not occur frequently. Therefore, look at the emergence of indicators of stabbing or demolition of prices at these key levels. Opening orders in the direction of breakouts will open opportunities for profit. Trading activity ended in position in the money. These two indicators are price signals that like to stir up traders' emotions. How not, price reversal and volatility is talking about unstable prices. Price reversal is interpreted as an indicator when prices change direction, while volatility is when prices fluctuate. Both are negations of trends. There is a trend change. These two indicators must be handled smartly. In fact, you have to be brave enough to take risks to make a profit. For example, two Call and Put options can be taken at once, not only to minimize risk but also to open opportunities for profit. Sensitivity in analyzing various price movement indicators will determine the trading results. And sensitivity must be honed by continuing to trade. Besides that, it is also not lazy to learn and share experiences with fellow traders.